I don't know much about old Japanese acoustics. 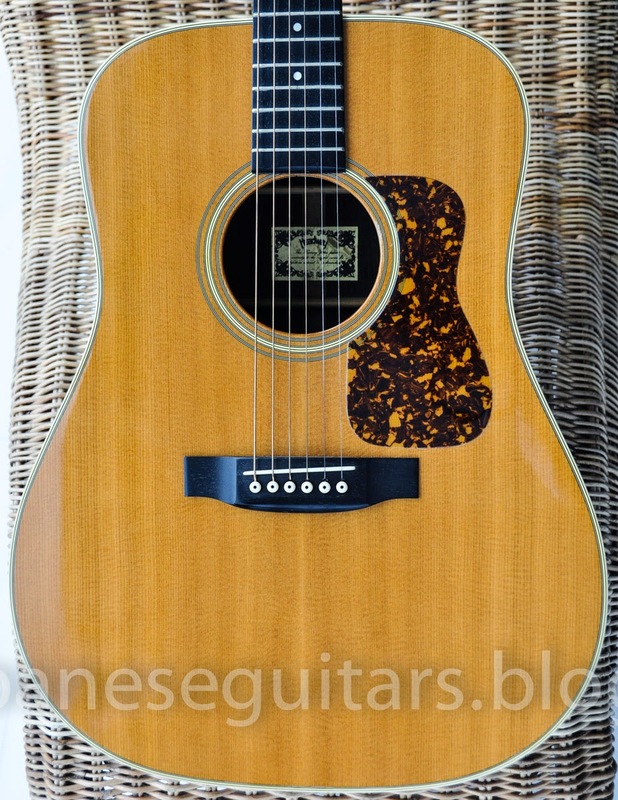 I bought a new Yamaha jumbo in the 1990's and a Takamine jumbo in 2009 but they were brand new guitars. 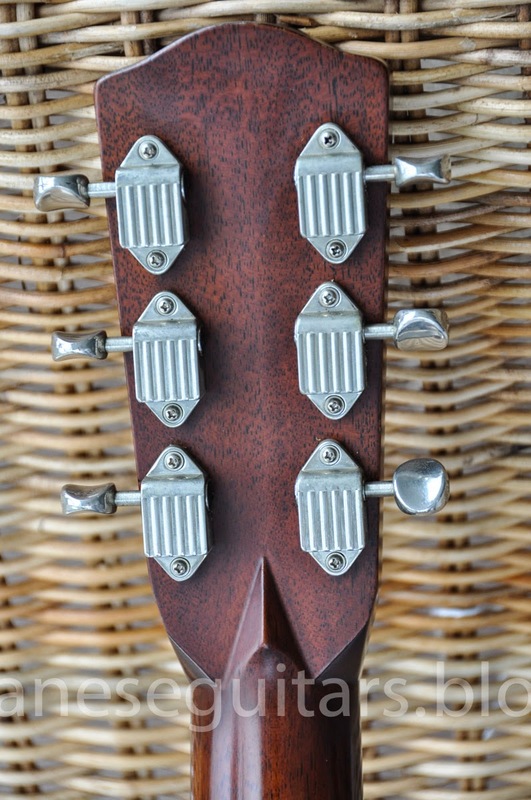 Since I was getting into old Japanese electrics I also wanted to find a nice vintage Japanese acoustic. Ochanomizu is a great place to try out different guitars so off I went to Shimokura Second Hands in Ochanomizu in April 2012. 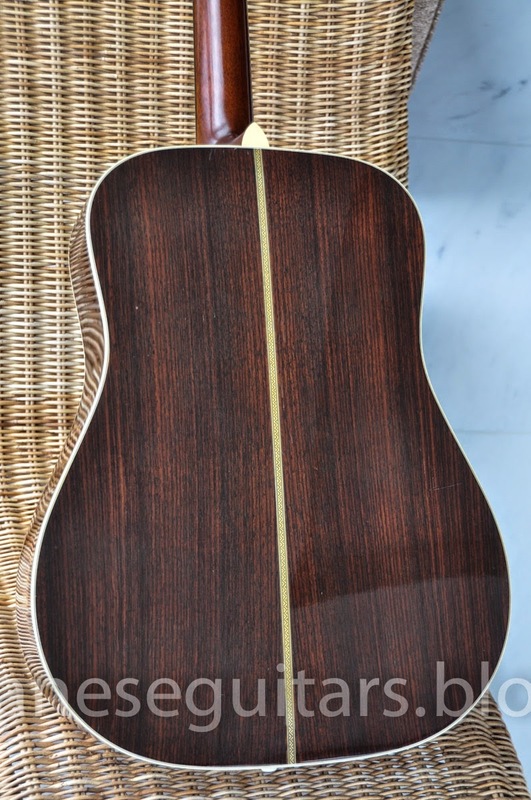 I wanted to get a nice example of a vintage Japanese acoustic. Choosing one is not an easy task with so many fine examples of Yamaha, Tokai Cat's Eyes, Morris, K. and S. Yairi models around to name but a few of the more common brands. 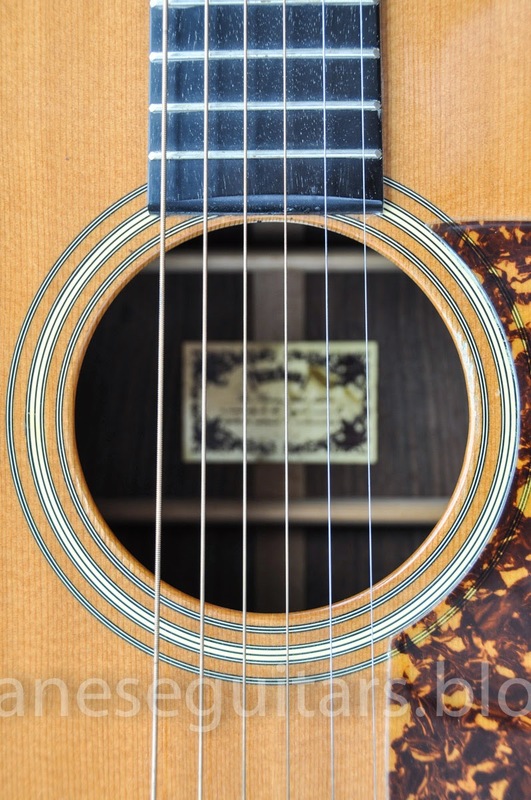 Old acoustics also are very susceptible to the effects of temperature and humidity. 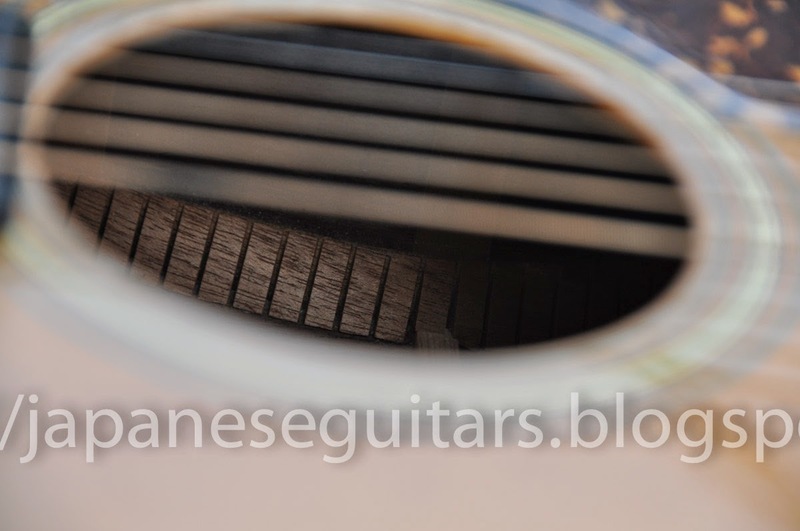 In Japan that means that acoustic guitars can often come with neck and body issues. 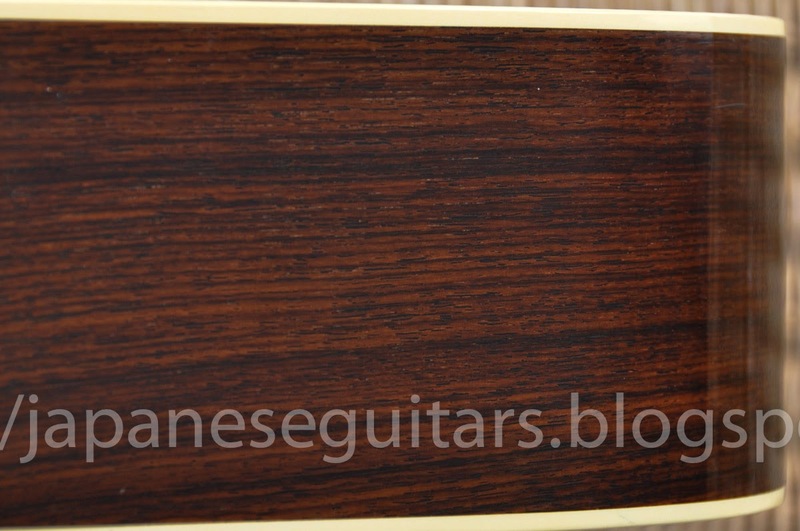 In any case, Shimokura has some great techs and as far as I have seen they always set up each guitar as well as possible and price them according to their condition. I tried a few Morris and Cat's Eyes models in the store. 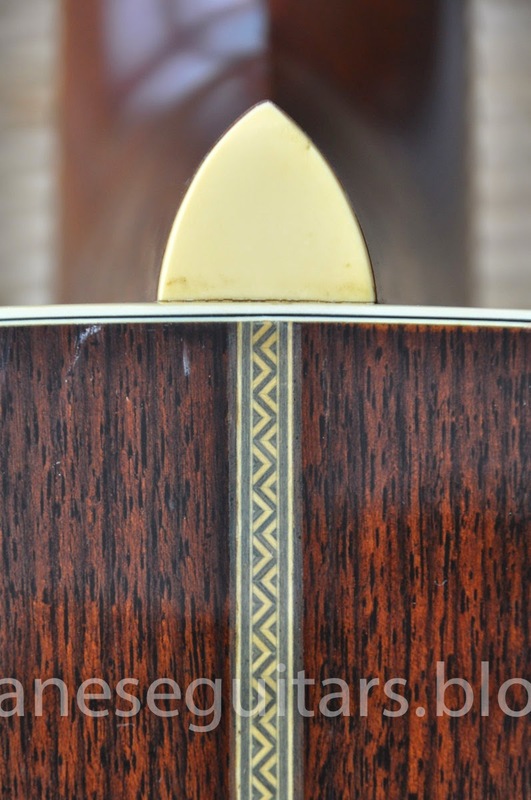 I cannot remember the models but I was interested in some of the higher end Martin copies with extra bling such as larger inlays and purfing. Most of these had fairly thin necks and didn't really have much projection or volume. I am sure that there are excellent examples of these guitars somewhere but on that day I didn't find anything that spoke to me. They did have a Headway guitar there that day and that was the last guitar I tried. It was clearly the one for me as it had a very fat neck and was by far the loudest guitar of the ones I had tried. Since I had a few Bacchus examples and knew that the Headway brand was also from Deviser I was pretty comfortable taking this one home. As with most Deviser products the serial numbers don't have any information about the year of production. I don't know the exact manufacturing year but was told it was from the early 1980's. 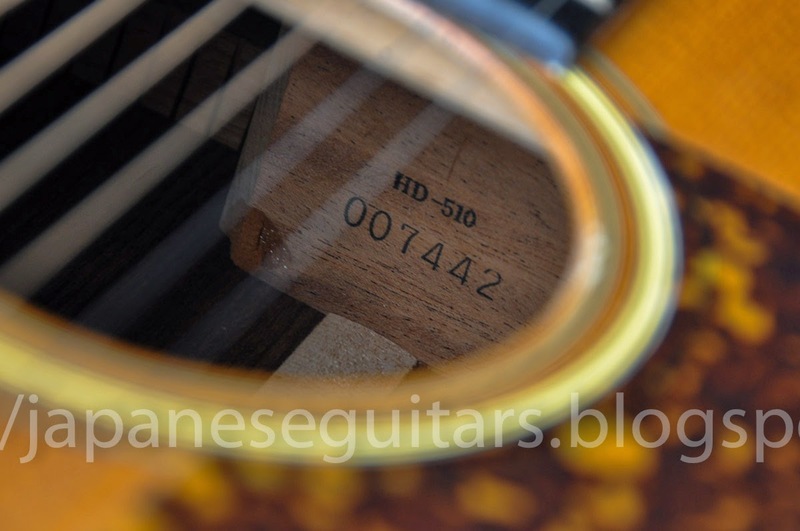 Internet searches show other HD-510 models from the 1980's so that is probably correct. Other HD models are still offered from time to time today by Headway. I am not sure what the modern equivalent would be as the 500 level HD-501 model listed on the Deviser site is a custom model listing in the 300,000 yen plus range. 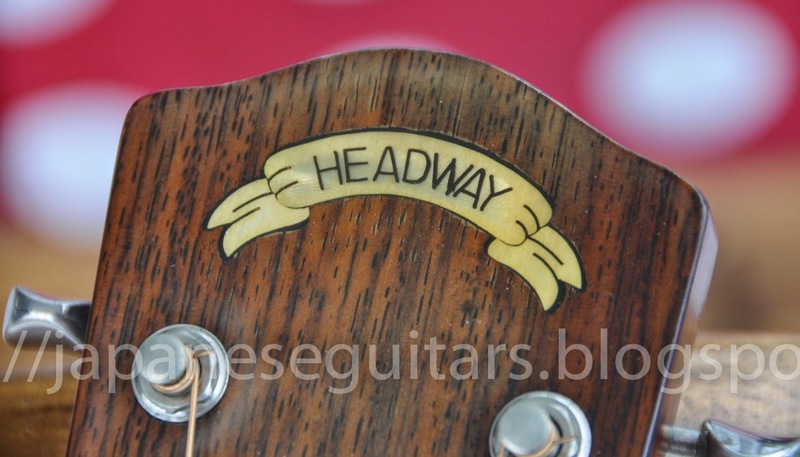 I'm interested in learning more about old Headway guitars so please let me know if you have an old Headway acoustic. Details: Solid spruce top, laminate rosewood back and sides, ebony fingerboard and bridge, waffleback tuners, no truss rod.